Lionsgate Digital Comic-Con Movie Giveaway! To celebrate Comic-Con, Lionsgate Digital has a digital download bundle of movies for you to enjoy instead of fighting the crowds! Lionsgate Digital knows it can be a giant pain to fight the crowds at Comic-Con, so it wants to give you a giant bundle of digital downloads of a wide selection of its hit movies. But that's not all. Wish you could some autographs? 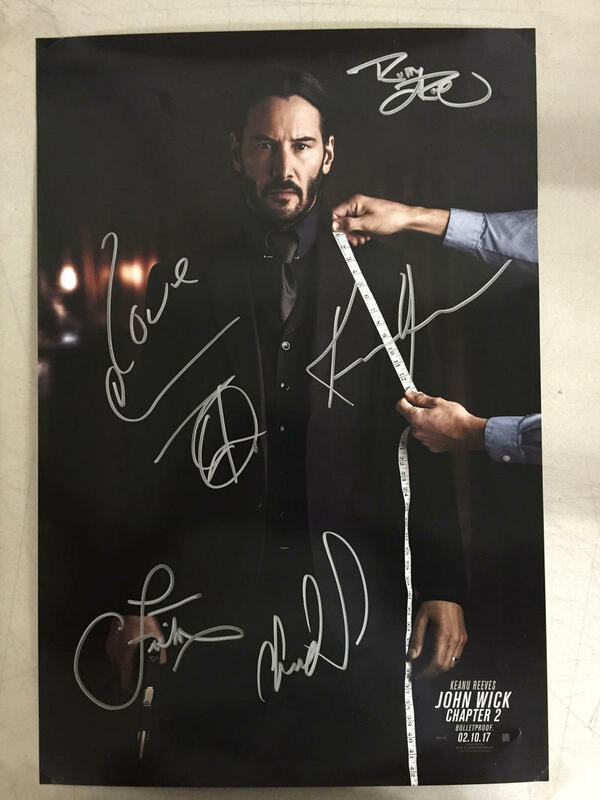 Lionsgate is going to throw in a John Wick Chapter 2 mini-poster signs by Keanu Reeves, Laurence Fishburn, Ruby Rose, Common, and Chad Stahelski. Still not enough? Fine! 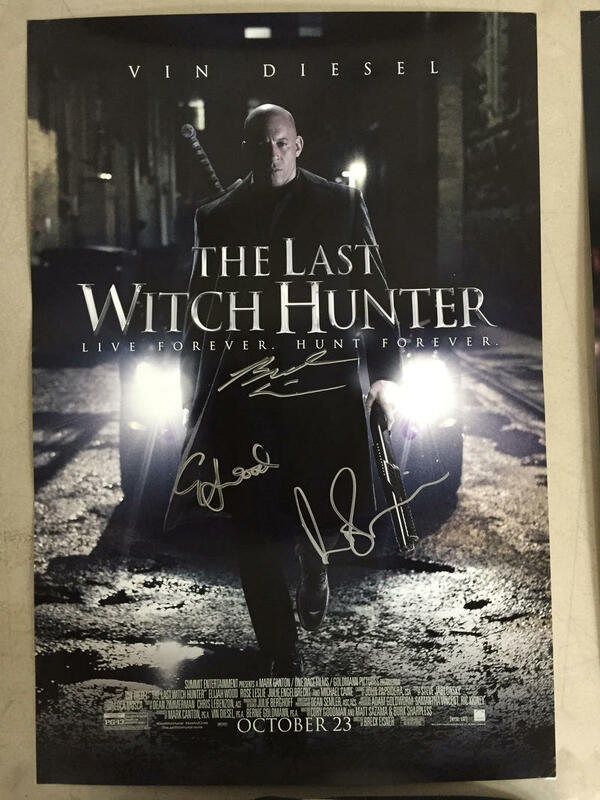 They'll also throw in a Last Witch Hunter mini-poster signed by Elijah Wood, Rose Leslie, Breck Eisner and Vin Diesel. This giveaway is restricted to the U.S. this time. To enter, all you need to do is sign in with your credentials in the box below and complete as few or as many of the tasks you choose. Each one will reward you with additional entries in the contest. In other words, the more actions you complete, the better your chances are of winning! And don't forget to come back every day to send out a tweet or click on the daily bonus entries. Entries will close on Friday, July 28, 2017. Contest runs through 11:59 PM PDT on Friday, July 28, 2017. One (1) winner will receive sixteen (16) digitally downloaded films along with two (2) autographed posters. Remember, the contest closes 11:59 PM PDT on Friday, July 28, 2017.